LadeeBee will be moving into both levels at 3079B Dundas Street West. Wise Daughters last day in operation is Saturday March 31st. Stop by between now and the end of March to find some great deals on your favorite handmade items by local artists. LadeeBee will be closed from Monday March 31st - Wednesday April 2nd for renovations. 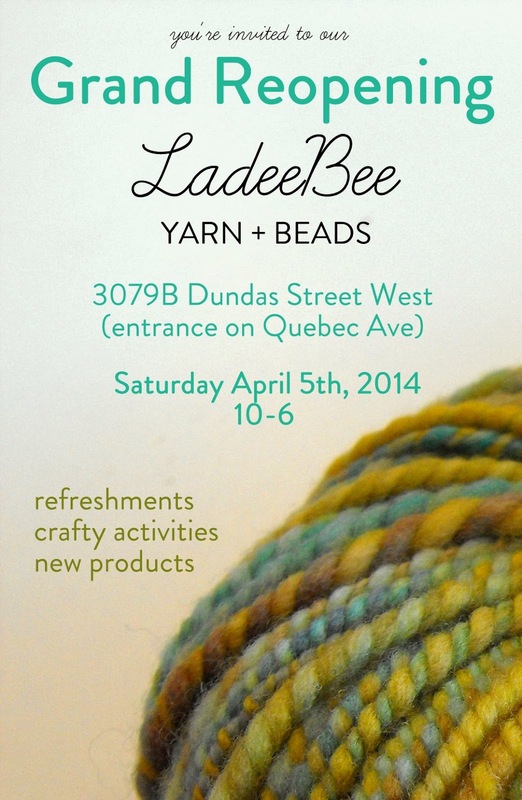 Mark your calendars for Saturday April 5th for the relaunch of LadeeBee. Bring the whole family and enjoy complimentary refreshments, crafty activities and browse lots of new products. Check out our Facebook event page!